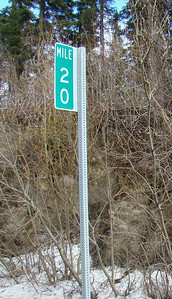 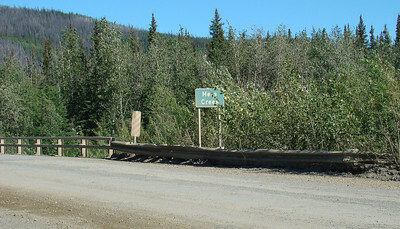 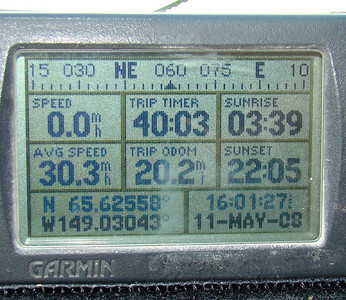 Hess Creek at Mile 23.9. 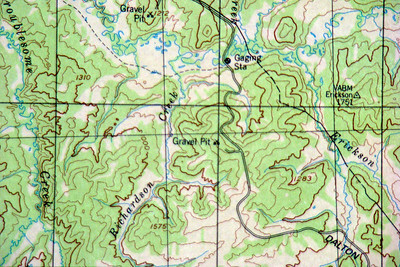 As you approach it from either direction, it is well hidden by brush and trees and easily ignored. 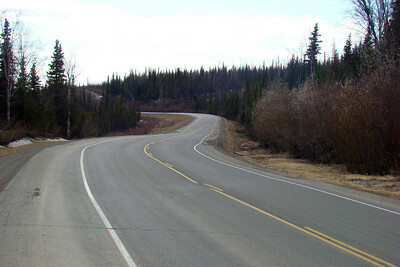 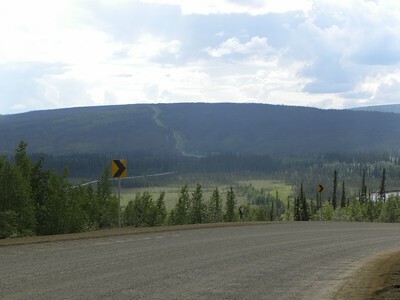 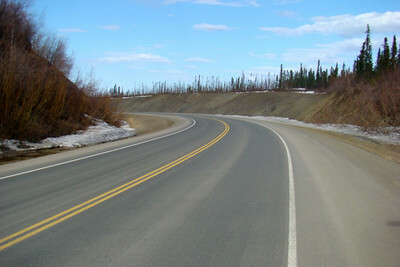 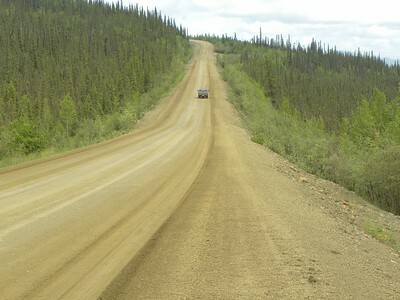 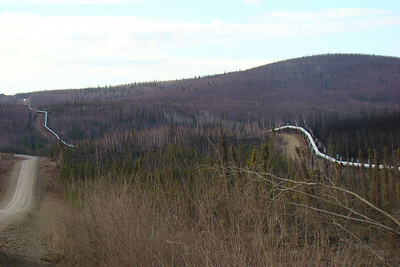 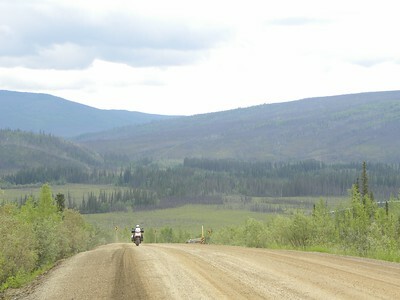 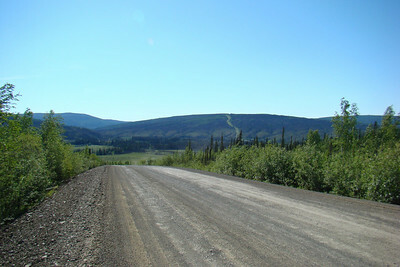 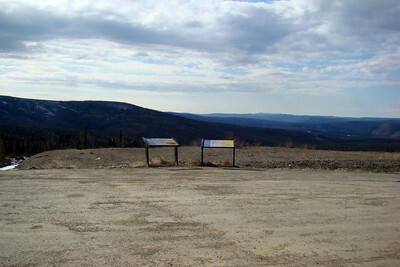 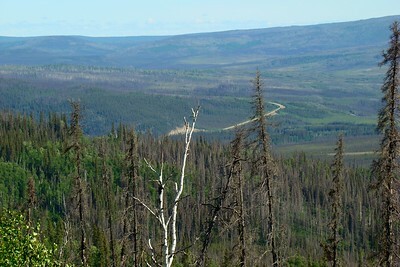 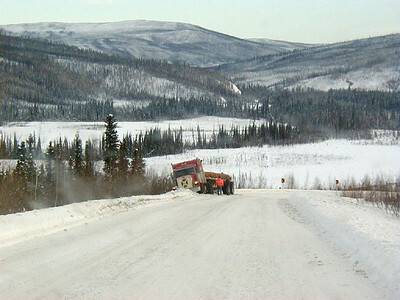 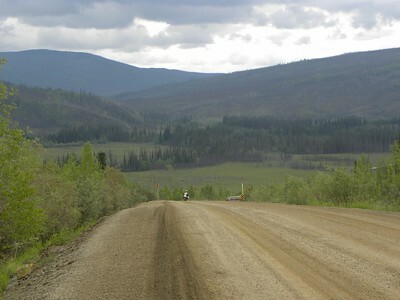 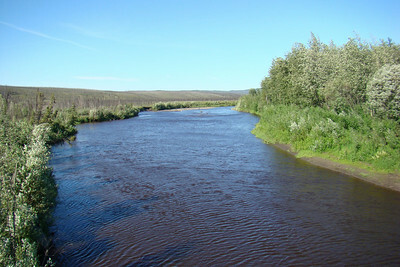 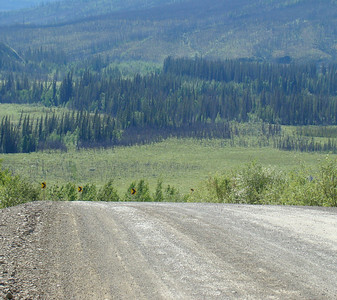 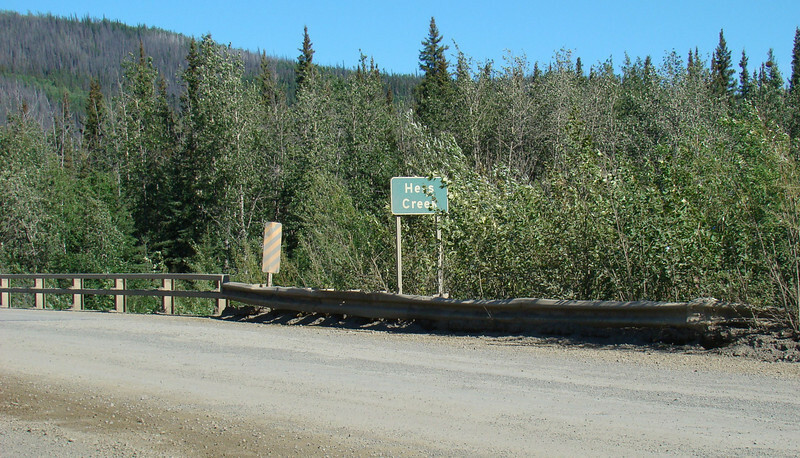 But a glance up or down stream reveals a scenic waterway - the largest stream between MP0 and the Yukon River. 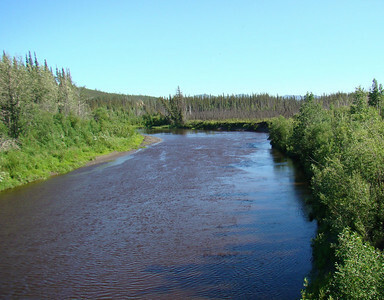 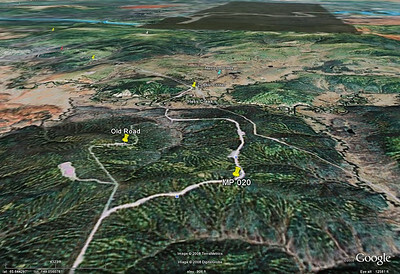 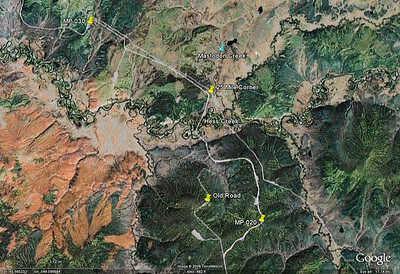 A primitive campground can be found on the far side, with good fishing available.